DAVID LE/Staff photo. 3/7/15. 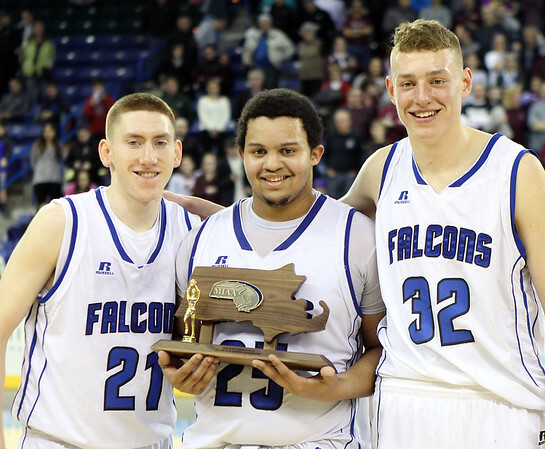 Danvers senior captains Vinny Clifford, Devan Harris, and Peter Merry show off the D2 North Championship trophy.